Republican congressional leaders and real estate moguls could be personally enriched by a real-estate-related provision GOP lawmakers slipped into the final tax bill released Friday evening, according to experts interviewed by International Business Times. The legislative language was not part of previous versions of the bill and was added despite ongoing conflict-of-interest questions about the intertwining real estate interests and governmental responsibilities of President Donald Trump — the bill’s chief proponent. The Trump organization and the Kushners (the family of Ivanka's husband, Jared) have overseen vast real estate empires, and top GOP lawmakers writing the tax bill collectively have tens of millions of dollars of ownership stakes in real-estate-related LLCs. The new tax provision would specifically allow owners of large real estate holdings through LLCs to deduct a percentage of their “pass through” income from their taxes, according to experts. Although Trump, who became famous for his real estate holdings, has transitioned into branding in recent years, federal records show Trump has ownership stakes in myriad LLCs. The new provision was not in the bill passed by the House or the Senate. Instead, it was inserted into the final bill during reconciliation negotiations between Republicans from both chambers. The provision, said experts, would offer a special tax cut to LLCs with few employees and large amounts of depreciable property assets, namely buildings: rent generating apartment and office buildings. Similarly, Urban-Brookings Tax Policy Center senior fellow Steve Rosenthal told IBT the provision would specifically benefit real estate investors. 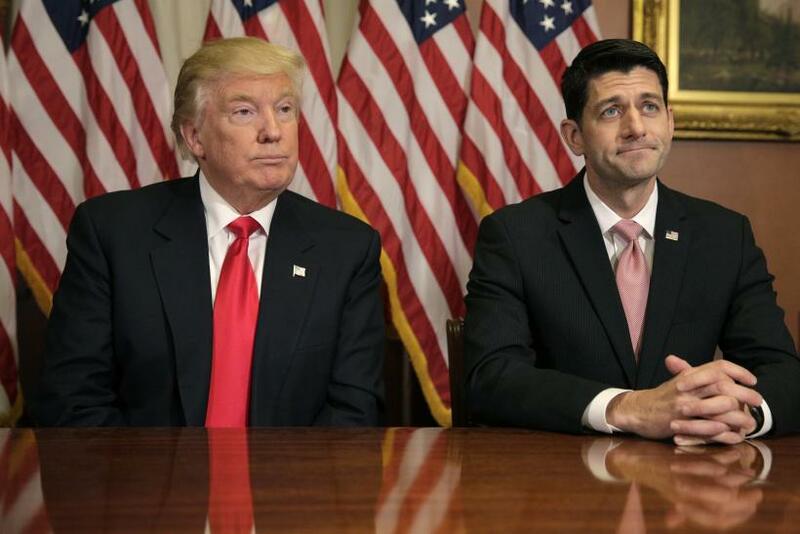 IBT previously reported that 13 GOP lawmakers directly sculpting the bill —including U.S. House Speaker Paul Ryan — have between $36 million and $163 million worth of ownership stakes in real estate-related LLCs. Those entities generated between $2.6 million and $16 million in “pass through” income and could benefit from the new provision. Sen. Bob Corker, who was considered a potential “no” vote on the bill, abruptly switched his position upon the release of the final legislation. Federal records reviewed by IBT show that Corker has millions of dollars of ownership stakes in real-estate related LLCs that could also benefit. “Pass throughs” are business entities that don’t pay corporate income taxes, like partnerships, LLCs and S-Corporations. Instead, they “pass through” income to partners, who then pay personal income taxes on the money they receive. The Senate version of the tax bill would have added a 23 percent deduction for income from pass-throughs to the tax code. The new reconciled tax bill shrinks that deduction to 20 percent but, in a last minute change, added a new way around restrictions that would have kept pass-throughs with large income but few employees from benefiting. The new bill still has the same income provision but adds a loophole: depreciable property. So instead of being being able to get a large tax cut only if you pay a lot of wages, now you can get the tax cut if you own a lot of property. “If they were saying before Trump wouldn’t get this because his pass-through firms don’t have employees, that’s clearly no longer the case,” Kamin said. Congress is expected to vote on the final tax bill next week.